"Whatever full-scale versions of these concertos you may have, these small-scale versions, well-performed, recorded and presented, would make very fine additions to a Mozart library." "Four Stars ... Mozart himself allowed chamber versions of his piano concertos ... Lachner adds double bass for extra heft. Finely shaded contributions from the strings underpin Goldstein’s fastidious advocacy." "CD of the Week ... (these chamber versions) are quite extraordinary, sounding as if Mozart had transcribed them himself. 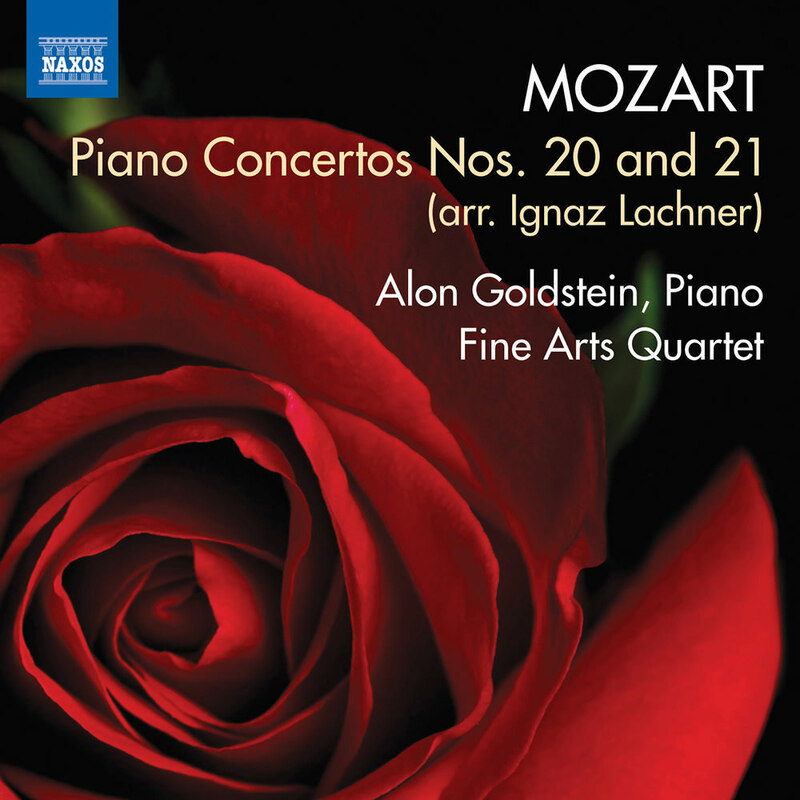 It makes for a fascinating listen, with the pared down arrangements packing a particular dramatic punch and exposing Mozart’s melodies which are delivered with great precision and clarity here by Goldstein." "Goldstein is by turns a bold and ineffably sensitive player ... his dynamics make every phrase shapely: he neither prettifies Mozart nor makes the music more aggressive than the notes warrant. He plays the first movement of No. 21 with a grand, inspiring sweep ... (the quartet’s) playing is stylish and invigorating and well worth hearing." Pianist Alon Goldstein is joined by American chamber music ensemble the Fine Arts Quartet and special guest Rachel Calin on double bass for the world premiere recordings of these chamber versions of two of Mozart’s greatest and most popular piano concertos. To make the two works more accessible to the public, 19th century composer Ignaz Lachner left the piano parts untouched and wrote splendid string quartet transcriptions of the orchestra parts with added bass. These arrangements sound almost as natural as if Mozart had transcribed them himself.